Thailand has many beautiful national parks not often visited by tourists and some of these are home to the few remaining wild elephants in Thailand. We both love elephants and sponsor two orphan African elephants and have travelled to Kenya to see them. 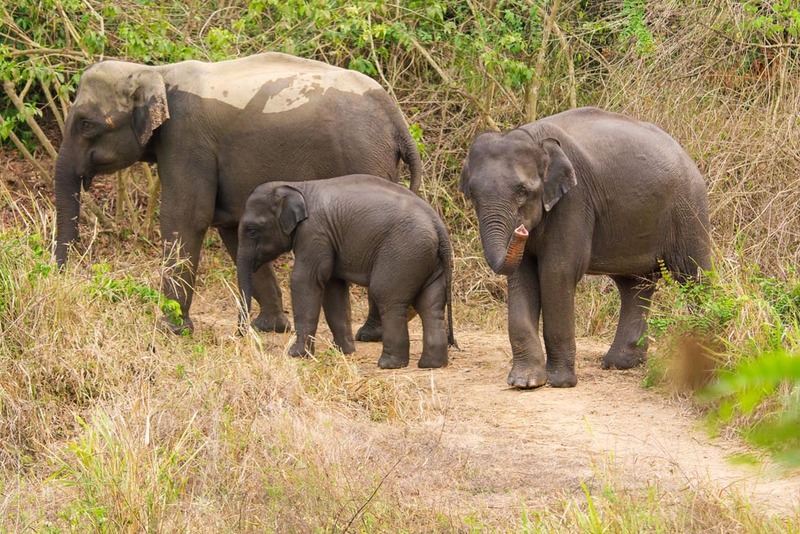 It has been on our wish list to see the Asian elephants in the wild. They are more endangered and rarer than the African elephants, with some estimates of about 2000-3000 only left in the wild. 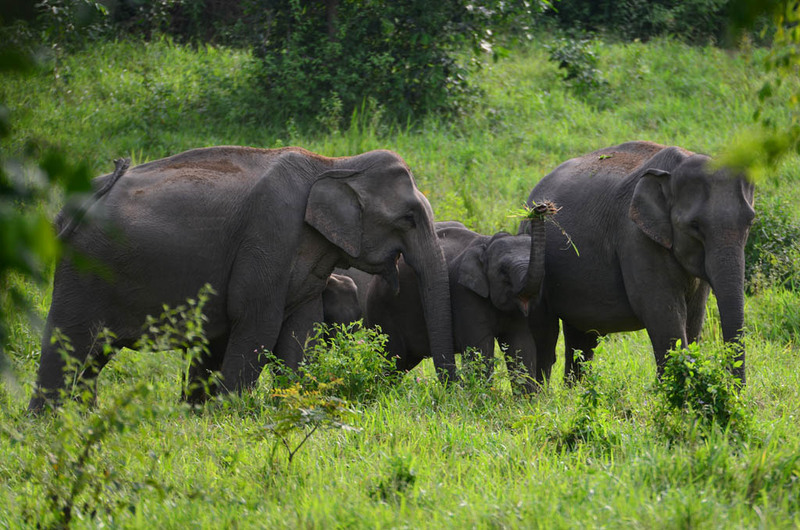 The park is home to about 250 elephants which include 20 family groups and 30 single males. The park is in the Prachuap Khiri Khan province and is one of the best places in Thailand to see elephants and other wildlife such as the gaur in the wild. At the park headquarters in Kui Buri, we jump on the back of a light truck and rangers drive us around in search of elephants. Vehicles stay on the designated roads and don’t encroach or violate the elephants in any way. Rangers radio ahead and check their location so the chances of seeing them are very high. Over the two days, we observe the elephants free in their natural environment. We drive through deciduous trees, dry forest, rainforest and open grassland and see the elephants come out into the open areas to graze. It’s exciting to hear the roaring, rumbling and trumpeting in the rainforest, as we eagerly anticipate a sighting of them. Young single males tell us off by indignantly waving their trunks at us. One is so incensed by our presence that he warns us of his strength by tearing down a tree and furiously waves his trunk as it comes crashing down. Family groups interact and socialise with each other while swimming, playing and throwing dirt and leaves over themselves to cool down. These elephants are unaware of our presence at first. After swimming in the river a young female spots us, she moves to the front of the group and waves her trunk. She is hesitant but protective of her baby sister. It is touching and cute to see this little elephant who is no more than a baby herself and way too small to protect her group, being very brave. The older baby spots us and tells us off. A mother and her baby walk close and watch us for a while and there is mutual curiosity between them and us. 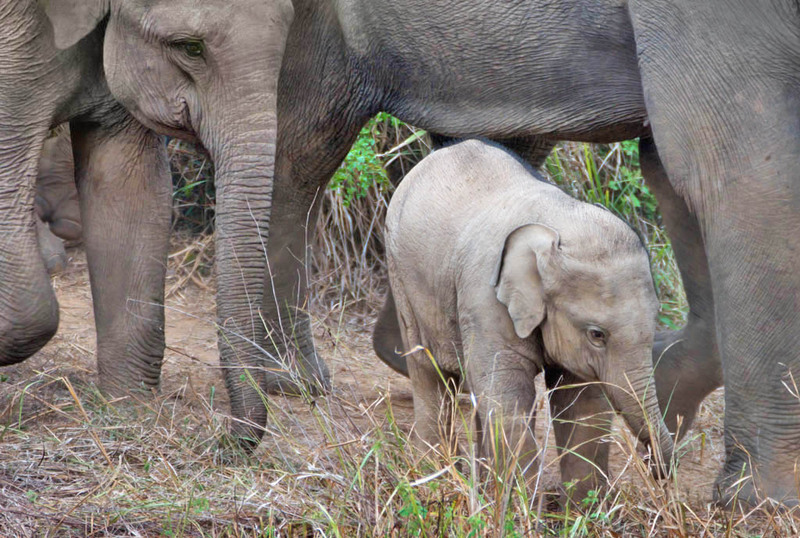 Another highlight is a baby in a shielding cocoon of huge feet and trunks, so young, she is tiny, pale and still has a lot of the hair she was born with. The elephants are very protective of the baby. It is very rewarding to see the elephants free in the wild where they belong. By visiting this park we support the local villages and farmers and help the conservation of one of Thailand’s most beautiful animals.This once majestic and proud animal endures a lot of cruelty behind the scenes so tourists can ride them and watch them do tricks. Please don’t support this trade. It’s easy to make this mistake and think elephants are big and strong and can cope with taking tourists for rides. 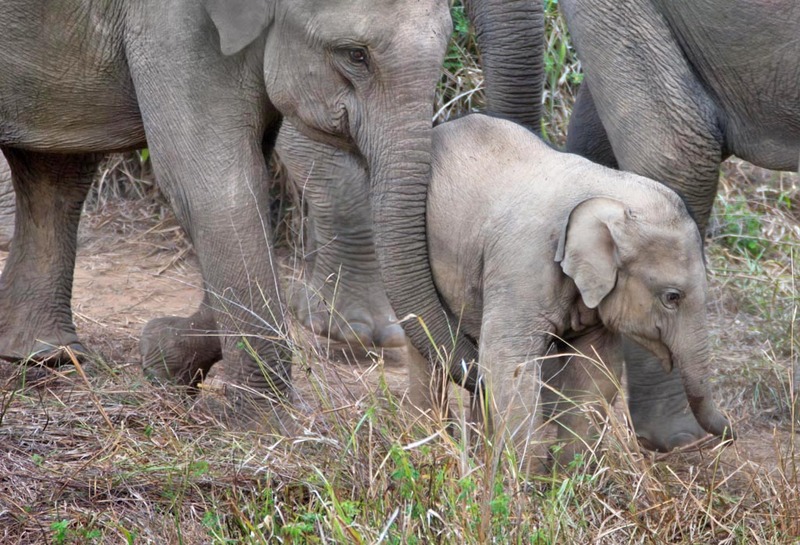 In the past, we thought we were doing the right thing and gave money to owners of cute baby elephants to buy bunches of bananas for them but this only encourages them to get more baby elephants. A stark contrast. A family group huddles together, chained and waiting for tourists. Photo courtesy of Emily McWilliam. Ask yourself why the baby elephant is on the beach or in the city in the first place. Chances are he has been trafficked and tortured so he can entertain tourists, and his mother and family possibly killed while trying to protect him from capture. 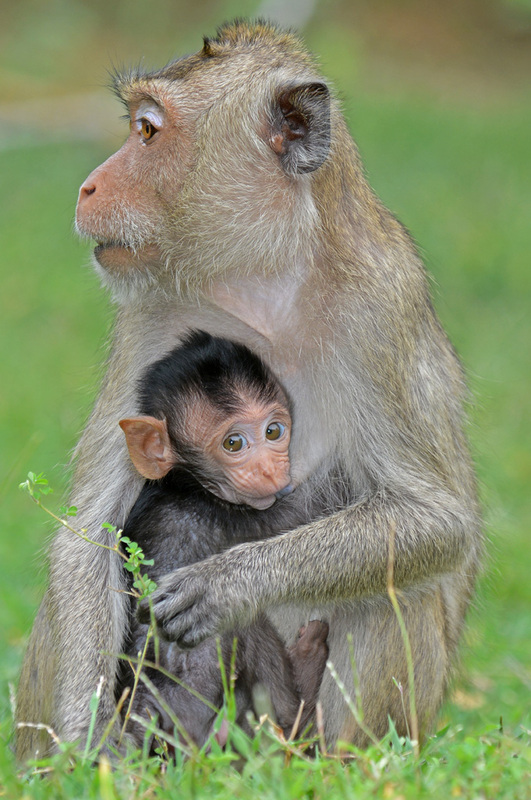 In our short time at Kui Buri, we see firsthand how protective they are of each other. This young male is very protective of the younger baby. Seeing the wild elephants in Thailand is a great alternative to riding them and watching them do tricks. While staying in Hua Hin or the nearby beaches of Pranburi or Prachuap Khiri Khan, you can arrange to be collected from your hotel or resort for an afternoon of elephant watching. To see them in the wild is a great experience. If you want a close and personal encounter with elephants, these sanctuaries in Thailand put the well-being of the elephants before anything else. Elephant Rescue Park is a newly established elephant sanctuary in Chiang Mai which provides a haven for homeless and abused elephants. They have three adorable babies, Shabu, Pailin and Nam Choke with plans of expanding the family. The elephants have a new life of freedom, hope and love. There is no chains, no hooks, no shows and no riding. Taken from their mother, and also made to do tricks and work in circuses these baby elephants are now in a safe, loving and secure home. Elephant Rescue Park is unique because it offers private and small group packages. 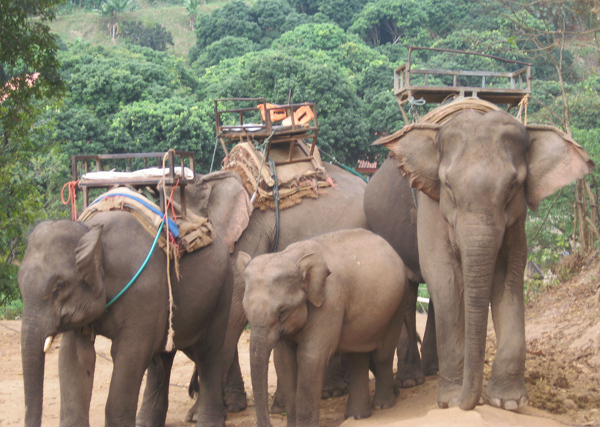 An Elephant Sanctuary and Animal Rescue Centre located in the beautiful valley of Mae Tam outside of Chiang Mai. BEES is a retirement home for old and neglected elephants. The sanctuary is now home to two old elephants, Mae Kam and Mae Jumpee, ages 53 and 68, and two new additions Kham Mee and her baby Boon. Relying on donations, they need all the help they can get to bring more elephants to this haven. Experience personal and authentic encounters during a few days stay. Accommodation is in traditional Thai style and volunteer programs are available. A sanctuary on a reserve outside the historic town of Sukhothai. BLES provides a safe home for neglected and abused elephants. Quaint accommodation and unique hands-on experience are what you get here. Founder Katherine Conner will not turn her back on any abused animal and is also forming the BLES Cat and Dog Home. This is a large conservation project in Chiang Mai province that rescues and rehabilitates elephants and other animals on 250 acres of lush wilderness. You can visit or volunteer to help. Different packages are available including day and overnight visits. Kui Buri is about a 4-hour drive from Bangkok. It is about an hour from Hua Hin so elephant watching is the perfect activity to do while staying here or the nearby beaches. The cost to visit the park is about 1000 Baht which includes the entrance fee, the vehicle and your guide. Most hotels and accommodation can arrange a visit to the national park. Camping and other simple accommodation are also available inside the national park. Tour operators charge 2000-4000 Baht per person for the visit which includes return transfers from Hua Hin and the surrounding area. 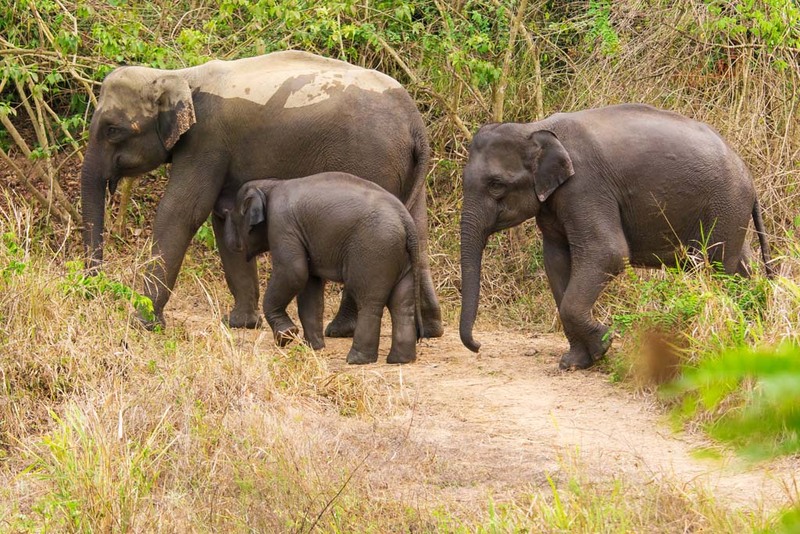 There is a very big chance of seeing the elephants in the wild at Kui Buri National Park. If you prefer you can arrange your own transport to the national park, but a guide is compulsory inside the park. The Elephant watching goes from 3 pm to 6 pm. A 300 to 400mm lens with a tripod is recommended for photographing the elephants. If you plan to visit the park, check to make sure it is open before you make your plans as it has been closed in the past due to the death of some of the wildlife. The following local tour operators have a close relationship with the park and can arrange all tours, transfers, accommodation and camping inside the park and other national parks in Thailand. 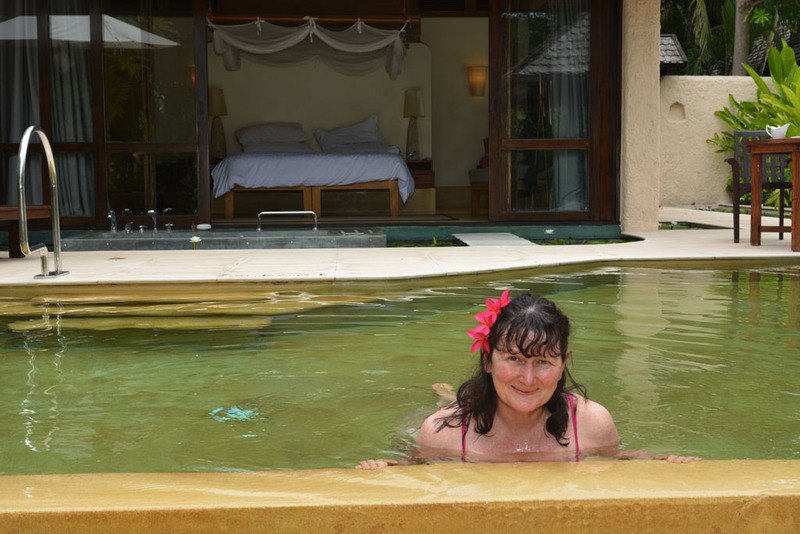 We stayed at the Sheraton Hua Hin Pranburi Villas in a gorgeous villa with our own private pool. 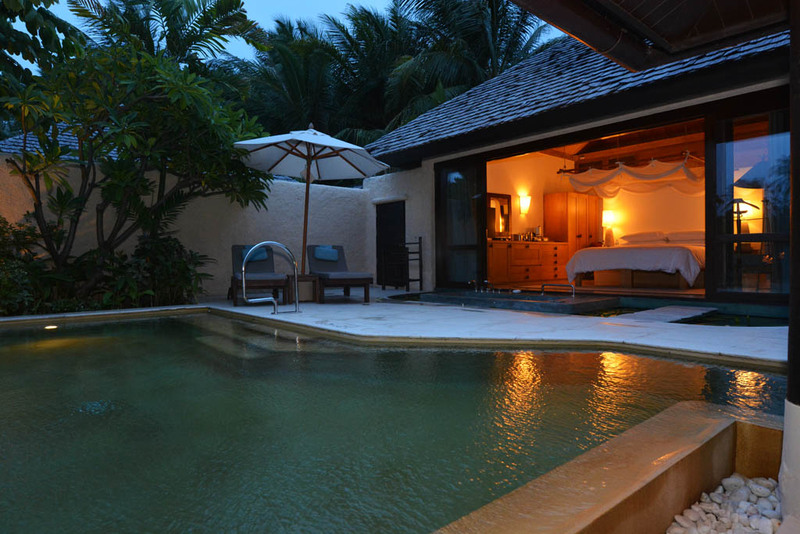 At the time, they had a promotional Hot Escape Special for about $160 per night per villa. Keep your eye out as they often have some great deals. The cost also includes complimentary bicycles for exploring the area. Pranburi is about 30 minutes away from Hua Hin and is a fishing village more laid back without the crowds and nightlife. Local restaurants, massage shacks, bike hire and many different accommodation options from quaint local guesthouses to luxurious retreats dot the long stretches of beach. The three towns of Hua Hin, Pranburi, and Prachuap Khiri Khan are under the province of Prachuap Khiri Khan. Little local restaurants dot the beach. We have delicious freshly-made vegetarian spring rolls. Hua Hin to Pranburi – 30-minute minute drive. Bangkok to Pranburi – about a 3-hour drive. Buses depart from Bangkok to Pranburi several times a day from Bangkok’s southern terminal. Trains from Hua Lamphong Railway station in Bangkok travel through Hua Hin, Pranburi and Prachuap Khiri Khan every day. To Pranburi, the trip is about 5 hours. Prachuap Khiri Khan to Pranburi – about an hours drive. Pranburi to Kui Buri National Park – about an hours drive. Pranburi to Khao Sam Roi Yot National Park – about an hours drive. 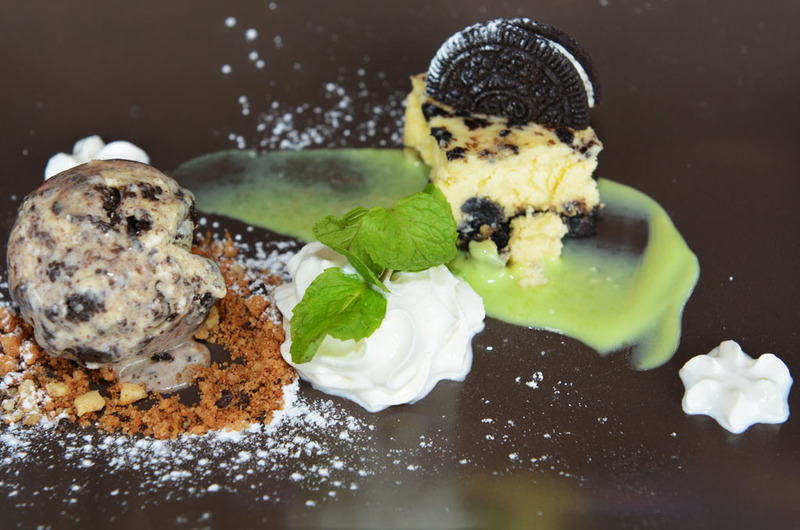 Yummy Oero Cheesecake! We love the quaint local restaurants on the beach. While visiting the dusky monkeys in Prachuap Khiri Khan it is well worth visiting Khao Sam Roi Yot National Park. It has spectacular scenery, cave-filled cliffs and a population of cheeky crab-eating macaques and dusky monkeys. 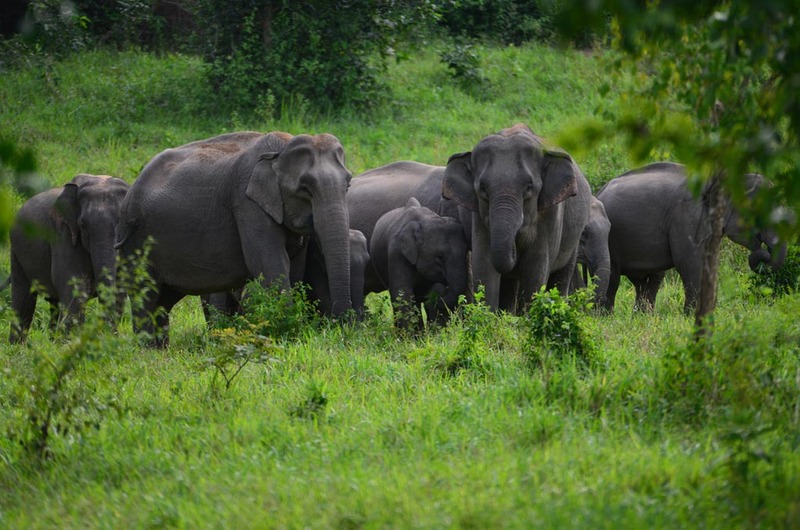 A great read about the elephant sanctuaries. Definitely refreshing to know there are other alternatives to having an elephant encounter other than the “touristy rides” that many seem to do. Most Thailand tourist brochures don’t feature places like this so thank you for opening my mind to the “other” side of things. Also loved the camera lens tips! Hi Vicky. We don’t think riding Elephants with thousands of other tourists could even compare to seeing them in the wild or spending a few days in one of the nice sanctuaries that have the Elephants wellbeing above everything else. Thanks for taking the time to comment. We appreciate it very much! Beautiful work guys.No matter where you go, you end up with the best images! I’m sure if they could see these images most travellers would prefer to do something like this. I for one thought it was almost impossible to see the Asian Elephant in the wild. You have definately opened my eyes up there, and I’m sure many other people would agree.I think too, that a lot of people are unaware of the cruelty that does go on behind the scenes to make an Elephant rideable. Lets hope articles like yours and others can get the message out there. Give me this national park any day! Thanks Renee. We had beautiful subjects! 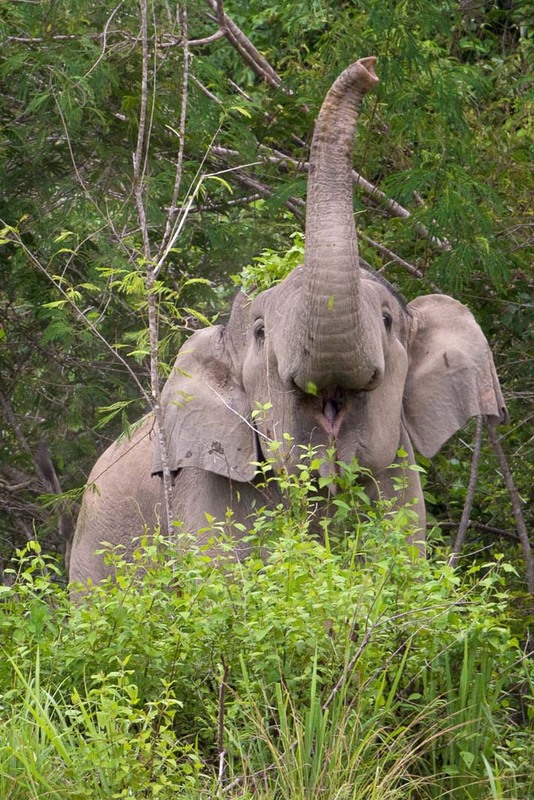 You have a very good chance of seeing the Elephants in the wild at Kui Buri. The rangers keep an eye on them throughout the day, so by the afternoon they generally have a good idea where they are. It is well worth a visit! We agree that many people are unaware of the cruelty behind the scenes in regards to the riding of Elephants. We hope to think the message is slowly getting out there and travellers see they have some great alternatives. Wow Ray & Sue these images are better than most images we’ve seen of elephants in captivity. Would this be rare, were you lucky or would this be considered a normal sightings? I myself never realised the cruelty involved to be able to ride an elephant. I thought it was more the present conditions of how the elephants lived. Either way it is a miserable life. Thanks for showing another way to appreciate this amazing animal. Thanks John. We spent two afternoons at the park and even though we consider ourselves lucky to see them up close especially the mother and babies we don’t think it’s a rare occurrence. The rangers do keep an eye on them, so you are going to see them if they are around. There is a chance of course that they don’t come out of the rainforest and show themselves. If you go for two afternoons we think you would be very unlucky not to see them. Our ranger Mr Poo was also excellent. He has been at the park since its opening in 1999 and is enthusiastic and keen for people to see the Elephants. We also saw a few wild Elephants on the road when we were travelling to Palau waterfall. So it is definitely a great area in Thailand to spot them in the wild. Thanks for this Ray & Sue. We now have BEEs on our bucket list. Your photography is also amazing!! Thanks Steve and Louis. We hope you make it to BEES! Great stuff! It wouldn’t surprise me if the Elephants had ESP and brought their babies to show you, because they just KNOW you’re on their side! This is a very important piece, there is no doubt it’s dear to your heart and the elephants really need you to champion their cause. It is sad to see such a magnificent animal confined to chains and reduced to circus entertainment. So different to see them wild and free! Awesome, like Ozz’s Uluru ! Enlightenment is required to save all our natural treasures and your efforts are a graffic flash! You couldn’t be more illuminating on how to enjoy them without THEM paying the price! Plus, the budget value is easy on the pocket, too! The private pool looks decadent, what an experience! Marie it was an incredible experience to see them in the wild. Between the beautiful national parks and some great sanctuaries that have the Elephants wellbeing put first, there is no reason to support the cruel treatment of Elephants. Pranburi is a great area to stay, with lots of different accommodation and restaurants and convenient to the national parks. Thanks for reading our blogs and your comments. Wow we are always amazed by your photography. How do you do it? We have never seen anything like this about wild elephants in Thailand. 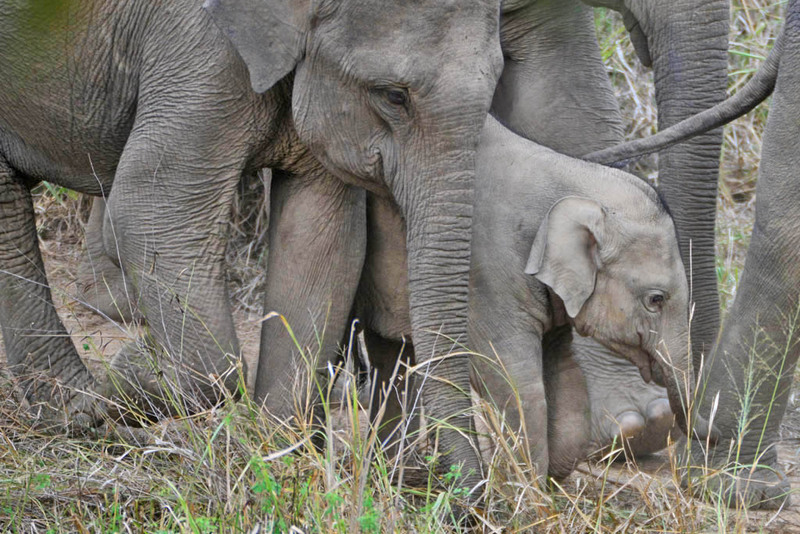 To show it is possible to get images like this of Asian elephants in the wild is remarkable. We are surprised this article hasn’t been taken up by the many crusaders for elephants in Thailand. It’s beautiful Ray & Sue. Thank you Shelby. It always helps to have great subjects! It shows the Elephants are there in the national parks and at times you can be lucky and get quite close to them. It this can encourage even one person to visit the national parks or one of the above sanctuaries instead of riding the Elephants we will be happy. Ray and Sue! All I can say is wow! Absolutely stunning pictures, you’ve done it again! They are all breathtaking, particularly of the herd ‘seeing them in the wild is a great experience’! Your both truly talented in what you do. Thank you for raising awareness for the plight of these beautiful and majestic creatures. I wish for all elephants to leave freely, be protected and to experience the love, freedom and social ability these guys have at Kuri Buri. WOW, WOW, WOW. Blown away! Your pictures speak a thousand words, I will share this far and wide to raise awareness about your amazing work. It’s definately well worth a visit to see wild elephants and to move away from the exploitation and abuse. 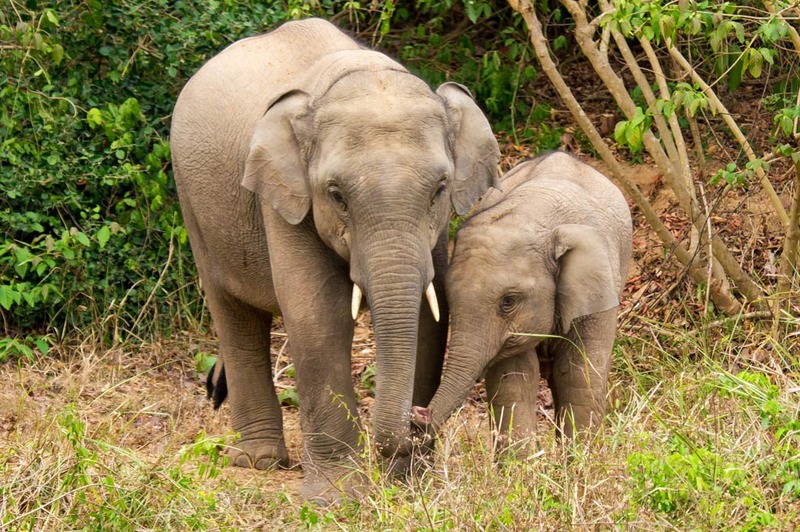 If everybody made mindful choices and opted to see elephants in natural settings and in the wild, change will happen for the elephants and they will no longer have to suffer. Education is the key and you have most definately highlighted the issues and provided tourists with an alternative. A job very well done! Congratulations and Thank you so much for sharing our info on your page also. Wonderful read, stunning photography. Keep up the great work! Thank you so much Emily. Seeing them in the wild was a great experience. It was bittersweet in a way, as it really makes you think more of all the Elephants that will never have this life. The lucky Elephants that make it to your sanctuary Emily come close to having a life like these. If only more could be so lucky and have an opportunity to call BEES home. Our work pales in comparison and is nothing compared to all the hard work, sacrifices, love and devotion you and Burm have put into the Elephants and other animals at BEES. Once again absolutely beautiful Ray & Sue! Your photos are always incredible. I would never have imagined seeing the Elephants in the wild like this. Love how you have also given other sustainable options for travellers who want a close encounter with the Elephants or who haven’t got the patience like yourselves to see them in the wild. Have also had a peek at BEES website and it looks unreal. It amazes and frustrates me that places like this are so unheard of. I will be steering everyone I know that visits Thailand to do this. Thank you Laila. It was an awesome experience. We understand what you mean, but you really don’t need that much patience to see them in the wild at Kui Buri! However BEES is a great alternative or you can do them both! This article is very interesting and give a lot knowledge about wildlife in Thailand. The pictures of wild animals are unique and amazing. 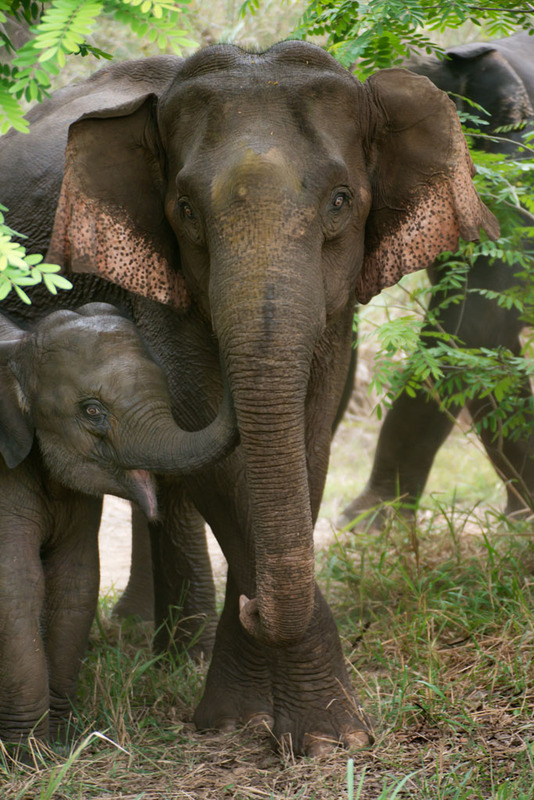 A specially elephants and her baby pictures are wonderful. Thanks for sharing. Yes we did travel with WhoCare Asia We do recall they could take a while to answer emails, as they spend a lot of time away from internet access. Another option is Wild Thailand as they also have a close relationship with the park. Both of these can arrange private accommodation in the national park. The basic accommodation in the park is owned by villages in the area and you won’t find them on booking sites. Another option is to contact the park directly which also have accommodation belonging to the national park. It can be hard to organise independently as not a lot of English is spoken in the national park, so your best option is on one of these local companies or just find a local guide to take you there at the time. The park is not open in the mornings. The elephant viewing is in the afternoons from 3pm to 6pm. If you spend two afternoons you have a very high chance of seeing the elephants in wild. It is an awesome experience! Don’t hesitate to contact us, is you have any more questions. We are glad you made it and saw the elephants in the wild! 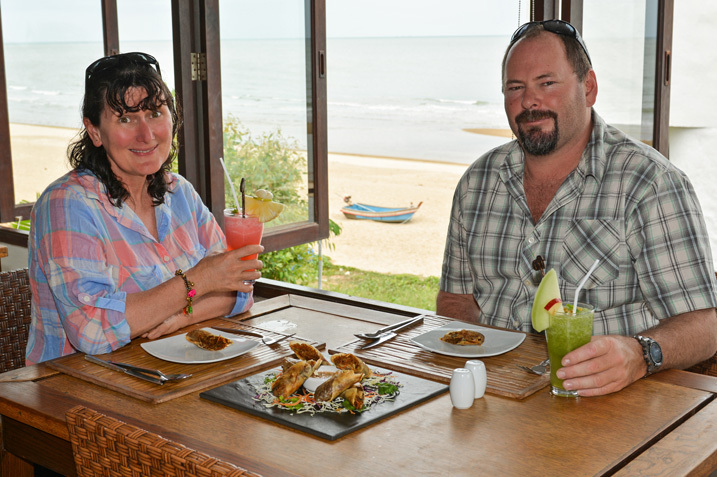 To us, Kui Buri is a special place and we would love to go back one day. And thank you so much for your comments and letting us know how it went. We appreciate it very much! This was inspiring and helpful. We are planning on visiting the park to see these beautiful creatures. How did you get around while in the area? We’d like to have some independence to visit the multiple parks but are nervous about renting a motorbike. Thanks Joanna. We did the tour with WhoCare Asia, but we have just checked their website and it seems they are no longer in business. We stayed in Pranburi and their driver picked us up in the afternoon from our accommodation and transferred us to the national park which is about an hours drive away. Other companies with a close relationship to the national park are Wild Thailand and Tontan Travel They both do custom and private tours, so will pick you up from anywhere. Because of the busy traffic in the area, we don’t recommend a motorbike to the elephant park. However when we stayed in Prachuap Khiri Khan and visited the Dusky Monkeys, we did hire a motorbike as the monkeys and Khao Sam Roi Yo are very close to Prachuap Khiri Khan and the ride is on country roads with hardly any traffic. It really is a great place for your first motorbike ride if a little nervous. It was an awesome experience as we had dusky monkeys sitting on our motorbike and the even macaques monkeys at the national park! Also, there is just one road that runs alongside the beach between Pranburi and Prachuap Khiri Khan where all the little local restaurants are. That road is also quiet without much traffic. So we would recommend staying in one of these little towns and do the elephant park with one of these companies in the afternoon and doing the closer national parks on motorbike in the morning. Another less expensive option for the elephant park is hiring a driver from one of the towns once you are there. We hope this helps and if you have any other questions please don’t hesitate to get back in touch.